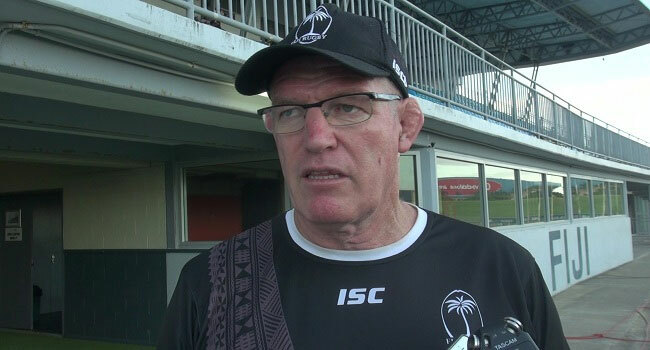 Fiji Airways Flying Fijians coach John McKee is impressed with the performance of the players during the training as they prepare for the Northern Hemisphere test matches this month. The full squad including the Fiji Airways Drua players had their training session on Wednesday which gave McKee a fair idea on his team for the first test match against Scotland. McKee says they worked on their clarity on Monday with double session on Tuesday before going through a grueling session on Wednesday. Scotland hosts the Flying Fijians at 3.30am next Sunday at Murrayfield Stadium. Meanwhile, in the test matches this weekend, Scotland faces Wales at 3.45am on Sunday while England meets South Africa at 4am. You can watch the England-South Africa game on FBC TV and Wales-Scotland match on FBC Sports.